How to even begin describing the wonderful thing that is a biscuit? 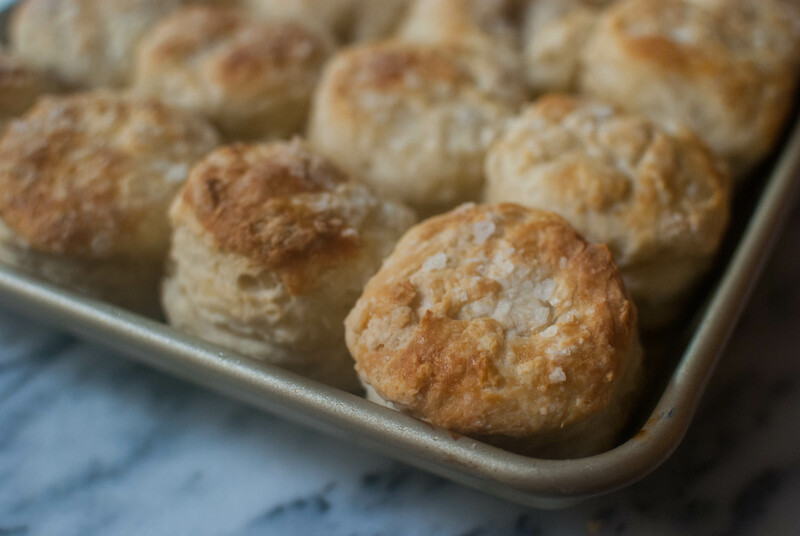 Biscuits, when done right, are flaky and layered and buttery and pretty much the ideal accompaniment for just about anything. 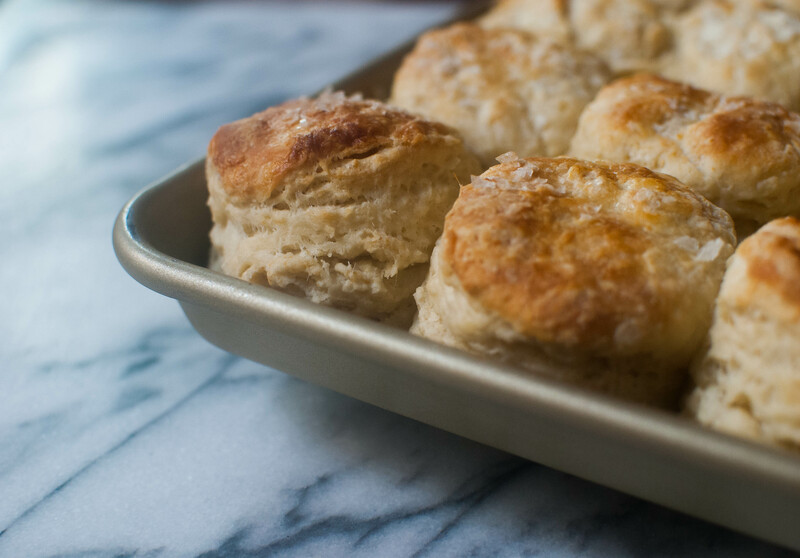 A few weeks ago I thought I’d try my hand at making Beth from Local Milk’s gorgeously tall and fluffy-looking buttermilk biscuits for a barbecue party (beautiful blog by the way, Beth!) The results were heavenly, so I thought I’d share her recipe with you–just in time for July 4th, I might add! Make sure to add these to your cookout lineup this weekend. 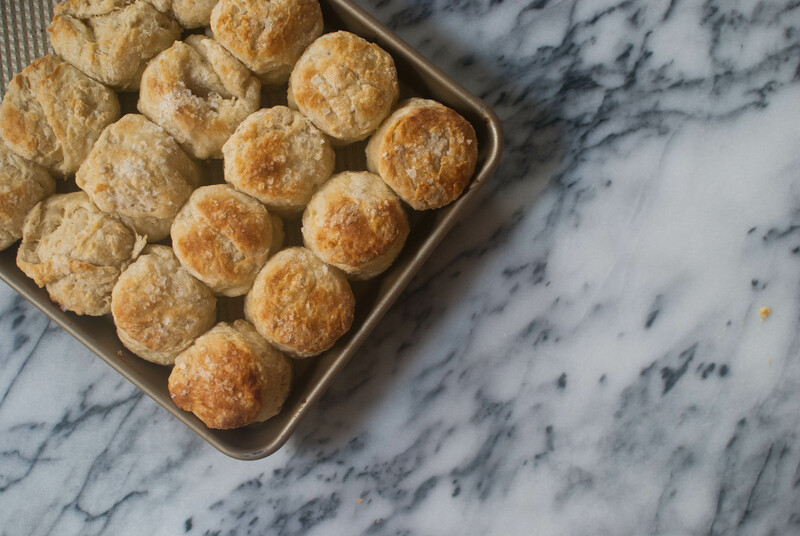 They’re incredibly easy to make and such a hit with kids and adults alike, because let’s be real–who doesn’t like biscuits? 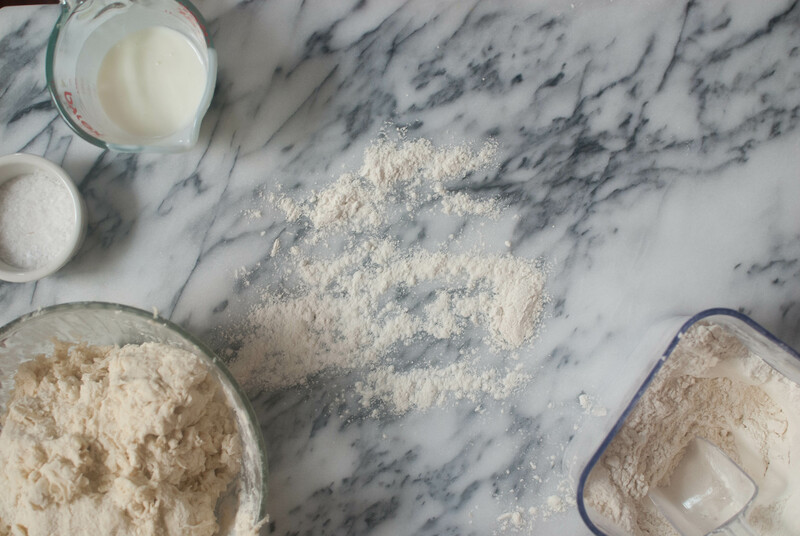 To make the dough, just whisk together some flour, baking powder and salt, then cut in some butter with a pastry cutter or your fingers. Pour in some buttermilk and stir the whole thing together, adding more buttermilk or flour as needed until the mixture is shaggy, neither wet nor dry. That’s it for the dough! You’re done already! And plop your dough right on down. 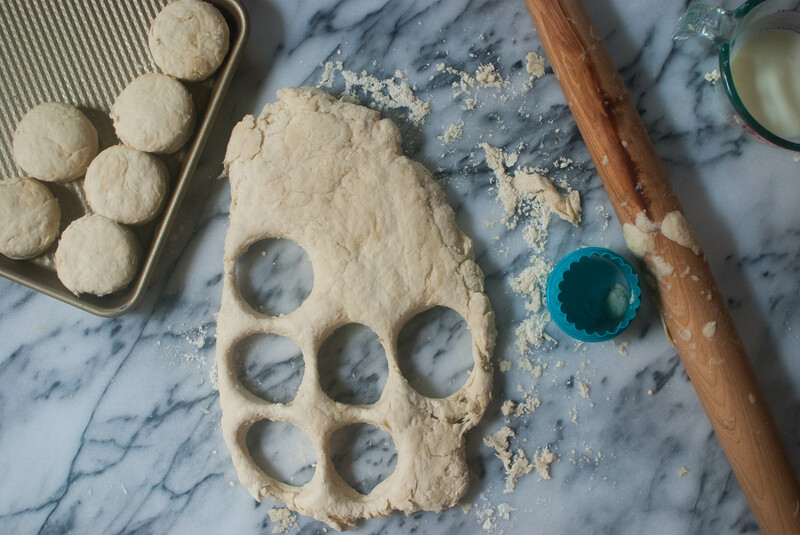 Then roll the dough out to an inch thick and use a biscuit cutter to cut out rounds in the size of your choice. Mine were about 2 1/2 inches across. Arrange the biscuits in a lightly greased rimmed baking sheet so that their sides touch each other; it’ll help them rise more! If you’re like me, you’ll brush them with extra buttermilk and fInish up with a good sprinkling of sea salt. Throw ’em in a 425 F oven until golden brown like this, around 15-20 minutes. Or maybe this one. Actually, I’ll just eat the whole pan. Ok? 2. 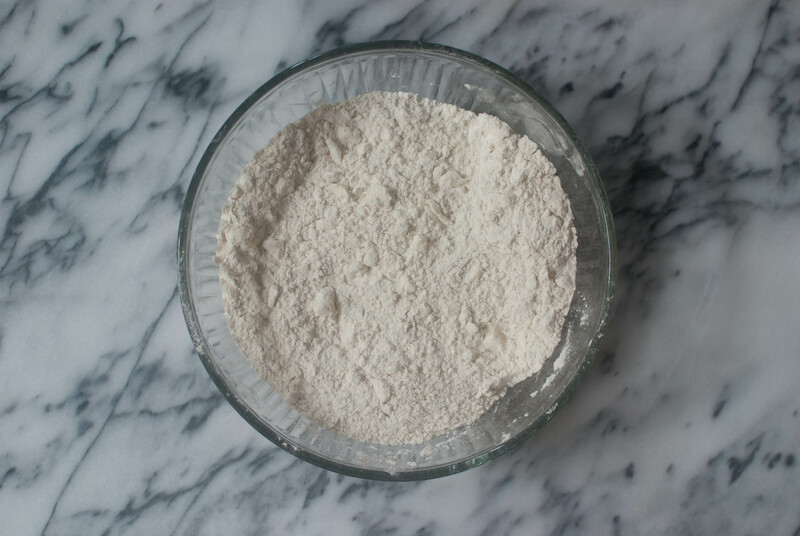 In a large bowl whisk together flour, baking powder and salt. Cut in the butter with a pastry cutter or your fingertips until the mixture resembles coarse crumbs and the butter is the size of peas. Pour in the buttermilk and stir the whole thing just until it comes together. 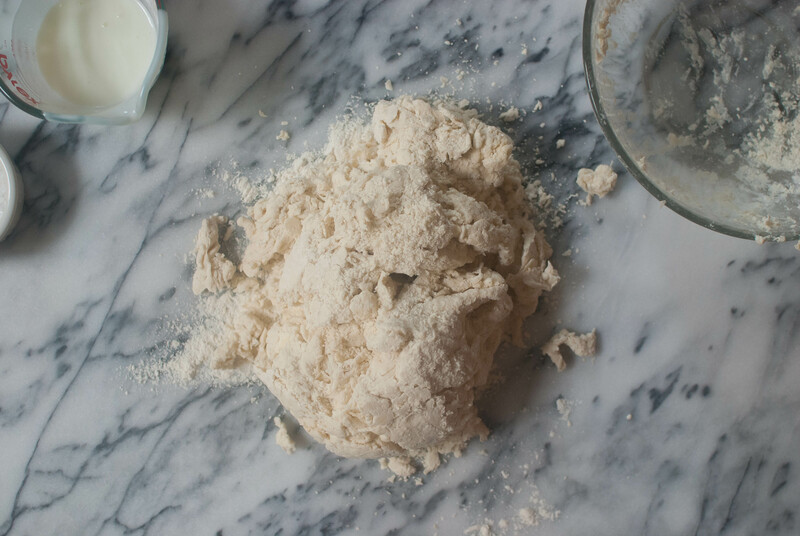 You’re looking for a shaggy consistency, neither too wet or too dry, so you may need to add a bit more buttermilk or flour depending on humidity, etc. 3. 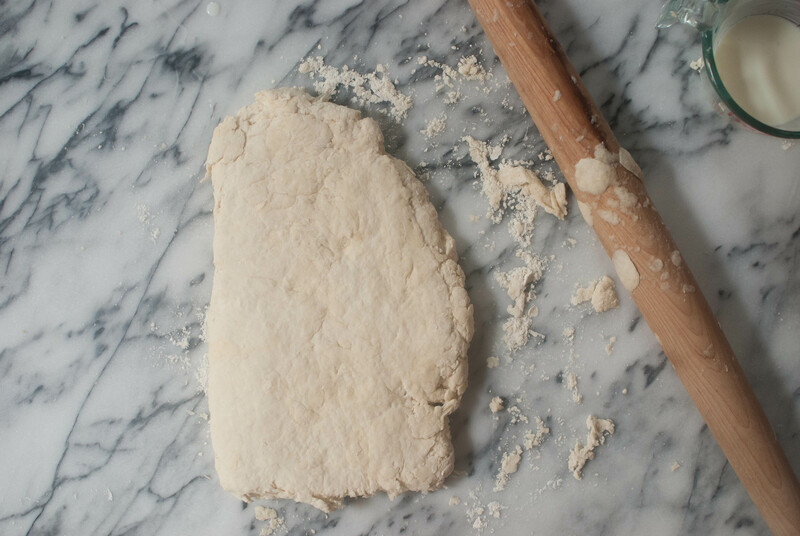 Transfer the dough to a lightly floured surface and gently roll or pat the it into a rectangle a bit over an inch thick. Fold the dough in half towards you, then rotate the rectangle a quarter turn and very gently roll it out again, being careful not to smoosh together all the layers your just made. Repeat the folding/turning/rolling process two more times before using a biscuit cutter (mine was about 2 1/2 inches across) to cut out rounds. Try not to twist the cutter, as doing so will seal the edges of the biscuit and reduce your layers. Press remaining scraps together gently and continue to cut until all the dough has been used up. 4. Arrange the biscuits in a lightly greased rimmed baking sheet so that their sides touch each other; it’ll help them rise more. Brush them with extra buttermilk and fInish up with a good sprinkling of sea salt. Bake until golden brown around 15-20 minutes. Happy 4th and happy nibbling! tall biscuits are life. those turned out great!